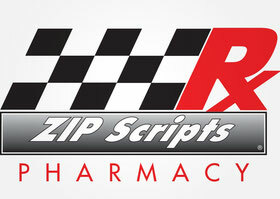 ZIP Scripts® Pharmacy is Tupelo's a locally owned pharmacy. The concept started when a visit to a big box pharmacy turned into a very long, long, long wait in line. There was no pharmacist interaction to tell us about the medications, and no one who could, or wanted, to help. We knew there had to be a better and faster way to get prescriptions filled. After months of research and local citizens’ input, the concept of “ZIP Scripts” was formed. “ZIP” meaning in the fastest of hurries, and “Script” from the medical slang for prescription. We carry an extensive assortment of items, including traditional pharmacy medications, as well as vitamins, nutritional products, and an assortment of other over-the-counter and convenience products. We offer Medication Management with multiple options for your medication packing. The most effective is the Zip Pack, a revolutionary medication management package system. We didn't stop there! ZIP Scripts is also a compounding pharmacy. Compounding a prescription means creating a particular pharmaceutical product to fit your unique needs. It can change the form of the medication from a solid pill to a liquid or cream. It may also be done for optional reasons, such as adding flavors to a medication or otherwise altering taste or texture. A few of the many products that we formulate provide HORMONE THERAPY for men and women, and meet the special VETERINARY needs of animals. Every compounding pharmacy must comply with the regulations set by the State Board of Pharmacy of the state in which the pharmacy is located.